My exhibition at Bridge Street Frames will start on 29th October and run until 13th November. 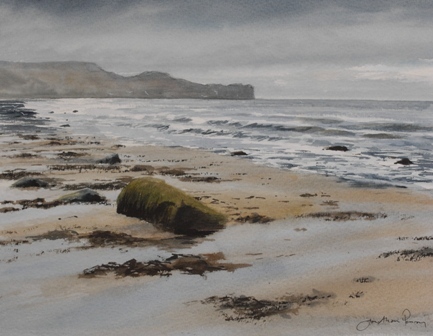 It will consist of about thirty paintings many of the Helmsley and North York Moors area. 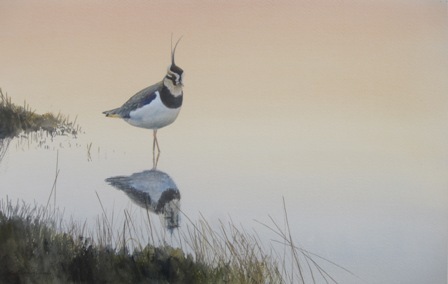 For a selection of the work on show click the Bridge Street Frames tab at the top of this page. 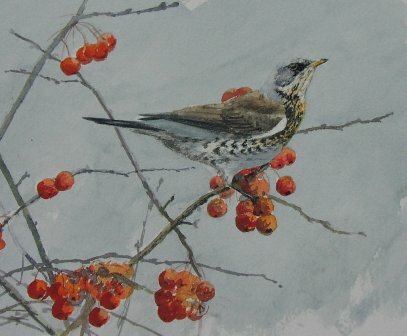 As a slow grey dawn broke I heard and saw a large movement of winter thrushes. 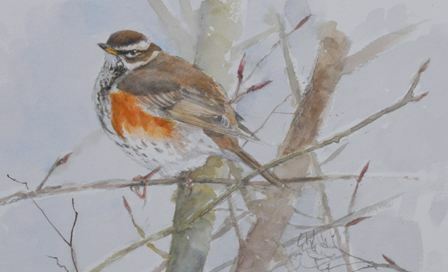 Redwings and Fieldfares constantly streamed across the sky. Most were migrating at approximately 300 feet in a south westerly direction. It was a great thrill to witness this spectacle of migration as these Scandinavian thrushes made use of the high pressure system which has enveloped the country. There must be tens of thousands pouring into the country at the moment. I also heard Bramblings, Redpolls and Siskins. All these species are arriving from Scandinavia to spend the winter in relatively mild climes. This morning’s thrush movement was the largest I have observed for several years. I will be out after dark tonight listening for the thin “seeeep”calls of Redwings and if I am lucky may also hear Blackbirds and Song Thrushes flying through the night. 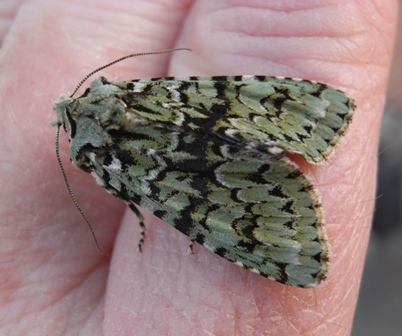 Last year I caught my first Merveille du Jour on 30th September. One day later this year I had the pleasure of seeing my second “marvel of the day”. The species spends the winter as an egg in crevices on its foodplant- Pendunculate Oak. When the egg hatches in the spring the larvae feed in opening buds, feeding only by night when it grows larger, and hiding in bark crevices during the day. 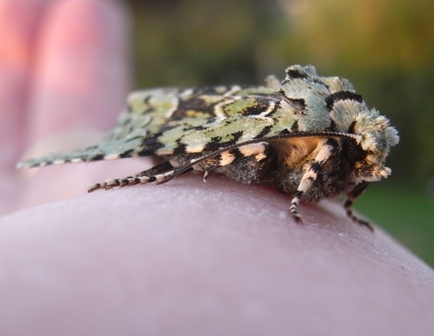 When fully grown it makes a cocooon undergound and emerges as the adult moth in the autumn.